Me : "Little dog Courage, are you coming to take your bath ?" (then) "Now mommy !". 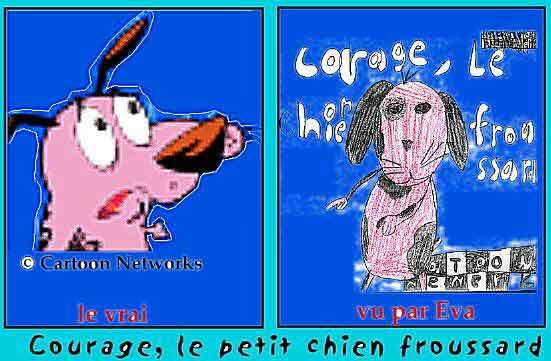 So mommy has to repeat her sentence while calling me little dog Courage and I reply, using the tone of voice from the cartoon : "yes".